You searched for which does not fit your . We've redirected you to 100-3760, which has the proper fitment. The most popular Platinum Series jacket is now a vest. Constructed from super-soft Top Grain Sheep Leather, adorned with laser-etched, well-written, empowering mantra inside the angel wings on the back. Stretch side panels with lace-up adjustment give you a perfect fit. 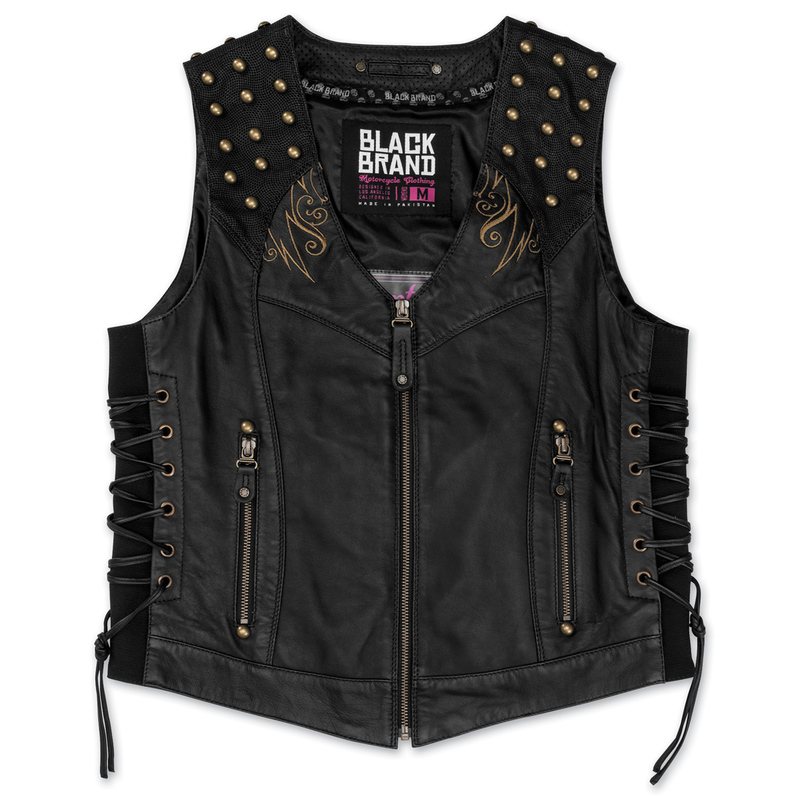 When you are ready to make a strong statement about your style, grab a Mantra Vest.